My Dear. 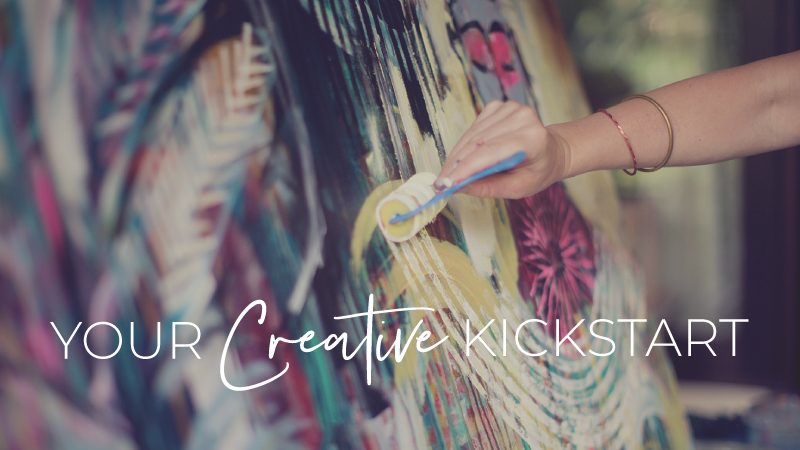 If you’re here, I’m guessing you are a creative person deep down in your bones, but just like everyone else, you could use a little boost of confidence when it comes to your creative expression. Creativity is one of those things that requires you to step into some pretty uncharted territory, often with no plan at all. So, of course, you’re gonna be a little nervous — anything can happen out there on the wilds of your canvas! This is also why Brave Intuitive Painting is such a thrill. There are no boxes to stay comfortably inside of. There are no rules. And there’s definitely not a step-by-step manual. However, there are some things I’ve learned over the years that will hopefully breathe some fresh confidence beneath your creative wings, and I’m happy to share those with you here. 1. Get Clear on Your Intentions. Often times we forget why we were drawn to painting in the first place. Perhaps it was to free up, express yourself, have fun, or add more beauty to the world? I’m guessing it wasn’t to get down on yourself and feel even more stressed out. Remember why you’re here and how you want to FEEL when you’re creating. Keep circling back to those intentions. 2. Remember It’s JUST PAINT. While it’s easy to feel like the world depends on how your painting turns out, you’re really just moving color around on canvas. Keep perspective and stay focused on the journey of exploration, play, and release. Your painting will come together when it’s ready. 4. Practice. Practice. Practice. There’s really no better way to boost your creative confidence than by showing up to your practice on a regular basis. This might require some re-prioritizing and scheduling time to create and play. Remember, even five minutes in your sketchbook can give you an awesome boost of creative inspiration. 5. Stay Inspired. Find an art buddy, host an art night, take a class, or start seeing your world through the eyes of an artist. There’s inspiration everywhere when you start to seek it out. 6. Fake It Till You Make It. If you can muster up a bold, confident way of approaching the canvas (even if you’re not really feeling bold at all), the energy in your painting will radically shift. Approach your next painting like you know exactly what you’re doing, and see what happens. You got this! The world needs our creativity more than ever before, and there’s no time like the present to fire it up! PS. If you’re craving more tips like this one, I recommend checking out the ‘Making Peace with your Inner Critic’ and ‘How to Finish a Painting’ Studio Diaries. Both these mini online courses are packed with more ways to keep your build your creative confidence with fresh inspiration and your own special sauce.